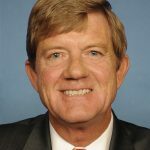 U.S. Rep. Scott Tipton on Monday issued a statement highly critical of Russia under President Vladimir Putin but not nearly as tough on U.S. President Donald Trump, who was widely criticized for supporting Putin after a joint summit in Finland. Both Tipton and Coffman are viewed by analysts as potential Democratic flips as the party tries to regain control of the House of Representatives in November, although Coffman is in a much more diverse Front Range District with a higher percentage of Democratic voters. This community has provided clear warnings that Vladimir Putin is actively undermining our democracy. No matter what Mike Coffman says today, he simply hasn't served as a check on our President.